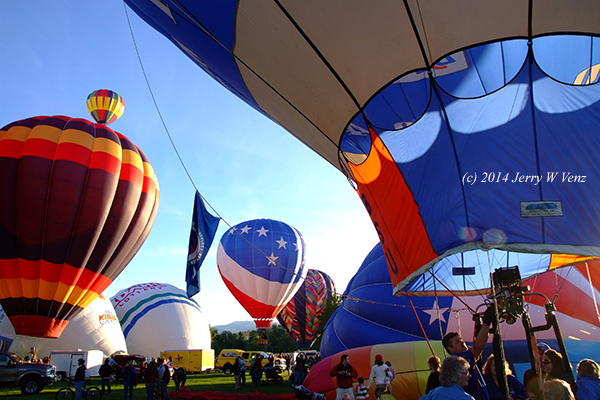 The Goboist: HOT AIR BALLOONS OVER BOISE--A RIOT OF COLOR! 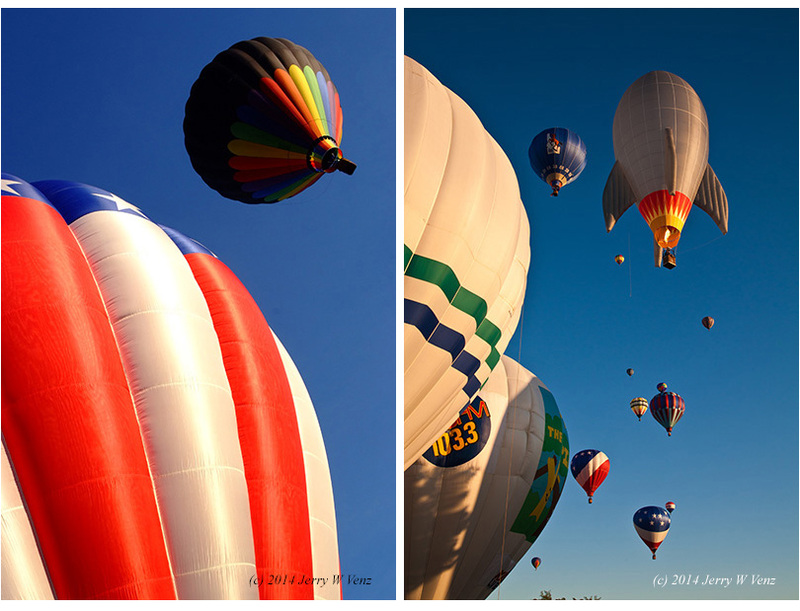 HOT AIR BALLOONS OVER BOISE--A RIOT OF COLOR! 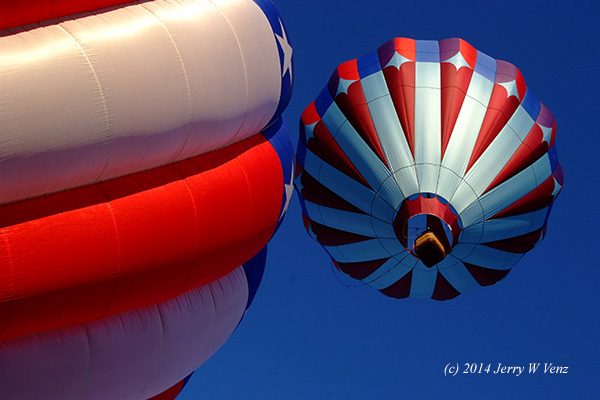 Having photographed aviation and sports of every kind for over 30-years, hot air balloons have somehow eluded the scrutiny of my lens…until I moved to Idaho. Arriving at Ann Morrison park before dawn, so I could cover their preparations for the 7:15 AM launch, I discovered that my photo-vest over my short sleeved polo shirt was completely inadequate in the chilly morning air--silly Californian! 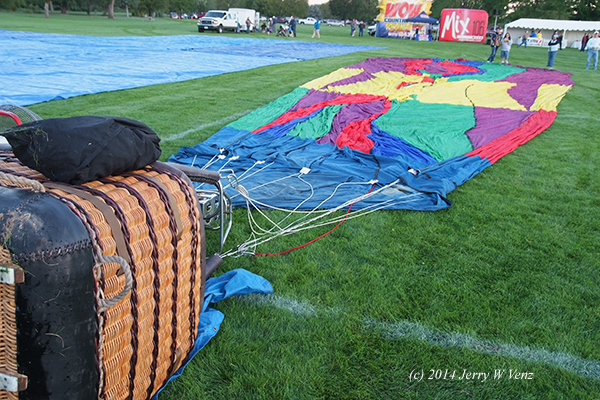 Seeing the deflated balloons laid-out on the grass, like dead jellyfish, with the lines limply trailing back to the humorously quaint baskets, that people actually stand in and allow themselves to go aloft to ridiculous heights, was a sobering sight before sunrise! 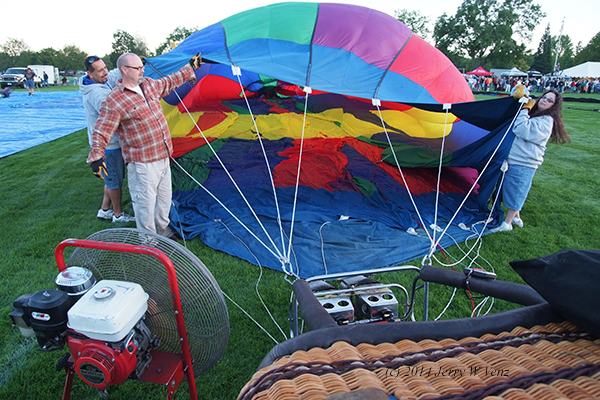 Next they place large fans near the balloon's bottom while the crew lifts the top edge, like a skirt, to let the air from the fan start the filling process. 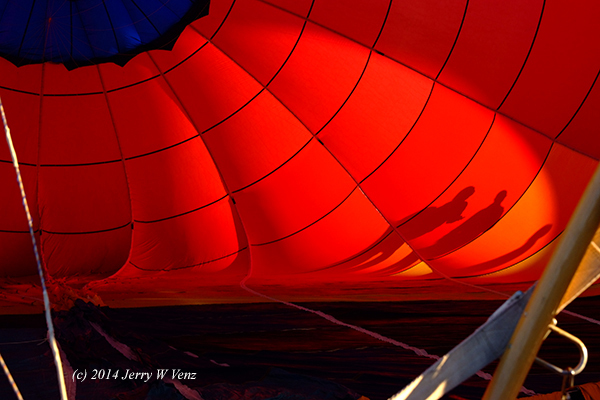 When partially filled, and photographed from the inside when there is backlight, the balloons can be quite striking. It's even better when you get the silhouettes of the ground crew on the other side. 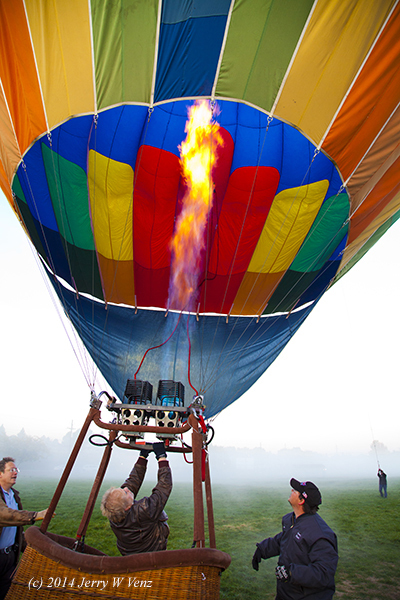 Meanwhile there is furious activity all around as other balloons are at the next stage with their propane burners roaring, as they blast fire into their balloon's cavity to heat the captured air. 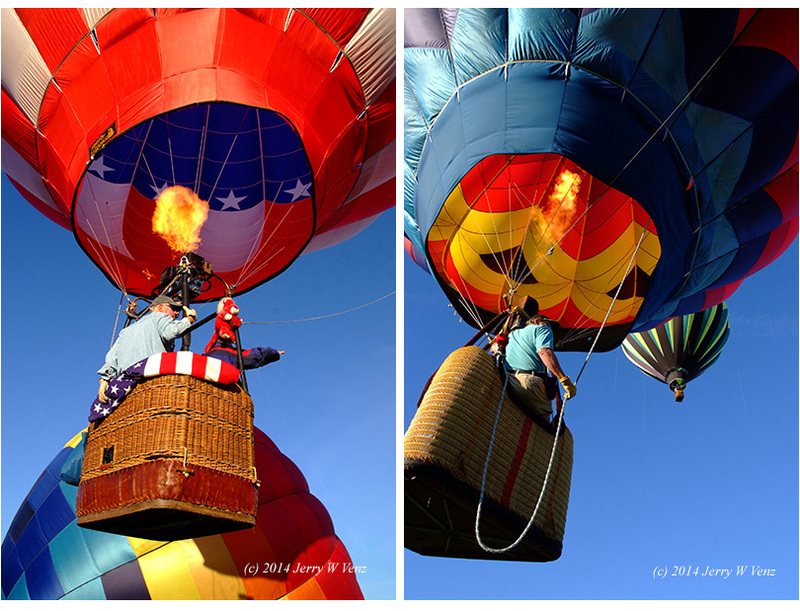 It was surprising how quickly the balloons went from horizontal to vertical once the burners were started! There were thousands of possible photo compositions I could take every minute during the, willy-nilly, melee of dozens of balloons in different stages of preparation, sometimes overlapping each other, in a jumble on the ground. Then as they launched the jumble started to sort itself out and they became these graceful, floating, bubbles of color, like Christmas tree ornaments, rising into place at different levels as if the sky was their Christmas tree! As usual, should you have questions don't hesitate to shout out.